SWISS International Air Lines decided to use CROSSMOS Electronic Logbook for their entire fleet starting with an on-board solution on the B777 getting continued with the Airbus fleet and finally ending up with an integrated solution on the Bombardier CS100-series. SWISS is now live since January 2016 without having faced any major problems. 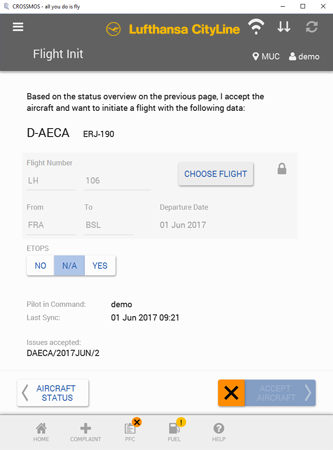 Since April 1st, 2017 the complete fleet of Edelweiss Air AG is equipped with CROSSMOS electronic technical logbook. 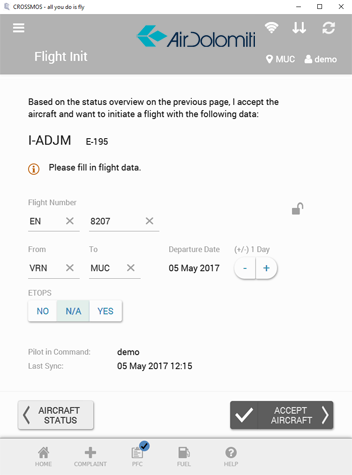 Edelweiss Air uses the pilot client as well as the maintenance client of CROSSMOS. The Edelweiss fleet consists of short-haul as well as long-haul Airbus AC which are now all equipped with CROSSMOS. Since June, 1st 2017, Lufthansa CityLine has been a new CROSSMOS customer and will start to implement the CROSSMOS eTLB in its entire fleet of Bombardier and Embraer aircraft. Lufthansa CityLine has launched the project of integrating an eTLB in its fleet in order to contribute to the modernization of the processes and to increase the environmental performance both in flight operations and in technology. By implementing CROSSMOS, Lufthansa CityLine is taking a further step towards digitization and process optimization within the Lufthansa Group. 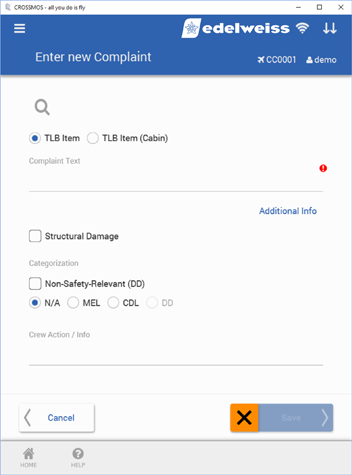 As Lufthansa CityLine uses AMOS as its backend MRO system, the integration of CrossConsense’s electronic logbook is expected to be finished until the end of this year because the interface between CROSSMOS and AMOS has been running successfully in other airlines for more than one year. 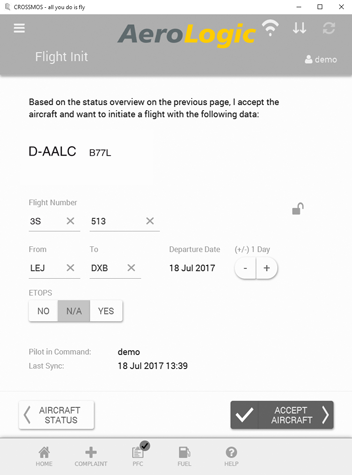 Lufthansa CityLine will use the pilot and maintenance modules of CROSSMOS and users will be able to access CROSSMOS from the EFB that is already in place. AeroLogic signed the contract with CrossConsense to implement the CROSSMOS® eTLB. The joint venture of DHL Express and Lufthansa Cargo currently operates 10 Boeing 777F Aircraft in a worldwide route network with destinations in Europe, Middle East, Asia, North and South America. 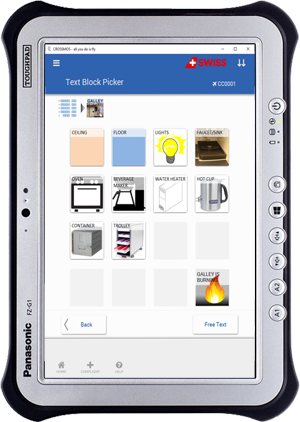 By implementing CROSSMOS® AeroLogic is taking an important step moving towards paperless maintenance. AeroLogic is a German cargo airline based in Schkeuditz near Leipzig. It is a joint-venture between DHL Express and Lufthansa Cargo which operates scheduled international and long-haul cargo services out of its hubs Leipzig/Halle Airport and Frankfurt Airport. The company was founded September 2007. Both of Aerologic’s shareholders are the company’s customers at the same time thus making use of the capacities of the air freighters. Aerologic started commercial operation in 2009 with a fleet of 8 Boeing 777 freighter. 2017 the Aerologic’s fleet size has been increased by two additional Boeing 777. This is a great commitment by the airlines shareholders to Aerologic’s operation and the ongoing success story. Alitalia signed contract with CrossConsense to implement the CROSSMOS® eTLB. The decision to implement an electronic techlog is part of the process of “paperless maintenance” and the reason for Alitalia for heading towards paperless maintenance is not only saving paper, environmental resources, time and money but also to accelerate the provision and transmission of information. Thanks to the new agreement signed with CrossConsense, Alitalia will be able to save more than 10 tons of paper every year, with a significant reduction of the effects of the environmental impact. 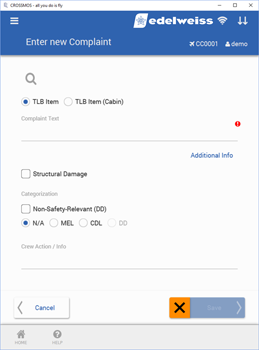 Furthermore, the CROSSMOS® eTLB solution implemented by the airline will facilitate and accelerate analysis, transmission and share of crucial information in the maintenance processes. The reason for deciding in favour of CROSSMOS was the fully functional bi-directional interface to the maintenance backend system of the Alitalia group as well as the open and honest negotiations during the decision process. Alitalia had a clear vision in mind when it decided to move forward with the “Paperless maintenance” process: in order to pursue efficiency and effectiveness in every single maintenance process, eTLB was a mandatory step and the best solution to implement a real “paperless maintenance”. The airline did also a hard work thinking in particular at its internal process re-engineering and, above all, at changing everyone’s mental approach in order to adapt to the new optimized business processes. 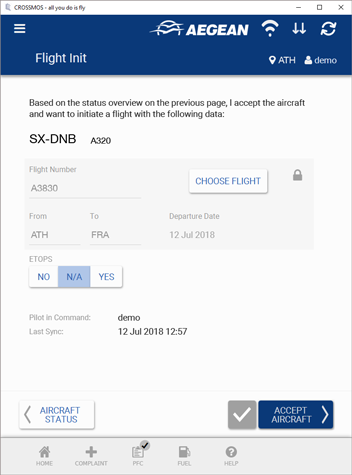 Aegean Airlines together with its subsidiary Olympic Air signed contract with CrossConsense to implement the CROSSMOS eTLB. After the final implementation CROSSMOS® will then be on board of about 61 aircraft operating under the flag of these two Greek airlines. 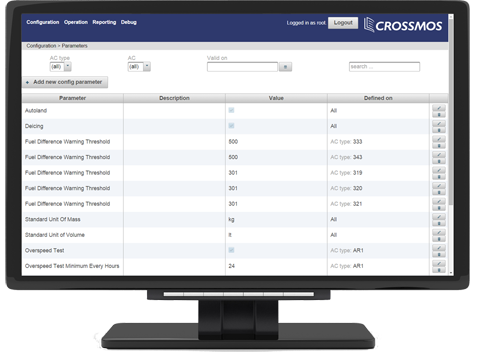 By implementing CROSSMOS® AEGEAN Group is taking an important step moving towards paperless maintenance. “AEGEAN’s driving and achieved target for constant growth and development over the years has been accomplished by establishing advanced systems and technologies that indicate towards that same need in the future as well. 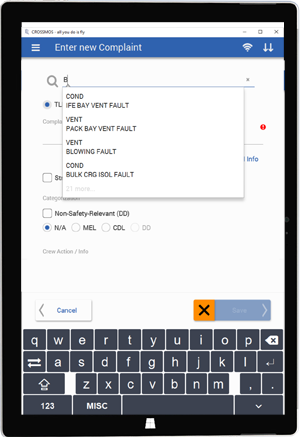 CROSSMOS implementation is a decision for reducing manual data recording, provide almost real-time aircraft status at any time and substantially simplify maintenance handling for flight crews, maintenance staff and operations control. 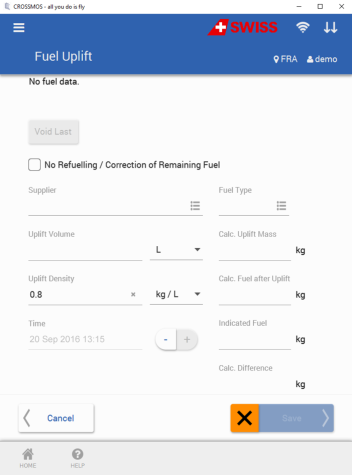 Higher data quality that eases control and monitoring processes of all aircraft fleets will be expected by aircraft data digitization and maintenance workflows optimization in order to continuously enhance efficiency, punctuality, reliability and safety of our commercial flight operations”. Aegean Airlines, a member of Star Alliance, is Greece’s largest airline providing ever since its inception in 1999 until today, full service, premium quality short and medium haul services. In 2013 AEGEAN acquired Olympic Air; as a result, passengers now have increased flight frequencies and connections as well as improved accessibility to Greece’s islands, including some of the most remote ones. Total traffic of both companies reached 13.2m passengers in 2017. The company´s summer 2018 timetable includes a network of 153 destinations, in 44 countries in total. The flights are being performed with one of the youngest fleets in Europe, comprising of 61 aircraft. AEGEAN was awarded as the best regional airline in Europe for 2018 by Skytrax World Airline Awards, for the 8th consecutive time and 9th time over the last 10 years.